So you’ve decided to move to Spain, but you are not sure what jobs are available. An easy option for jobs abroad is a bar job (also known as bar work). Bar jobs are an easy alternative to earning a comparatively good wage compared to other jobs in Spain, although the salary will be lower than that of our fellow European counterparts. Pay and wages for bar jobs and bar work in Spain range from 4 Euros an hour to a maximum of 10 Euros an hour. Please note also that the cost of living in Spain is not much lower than the rest of Europe so when you get a bar job you will just be surviving and making ends meet as your earnings are low. There won’t be much money left over at the end of the month for luxuries so this is a job for the lifestyle rather than financial reward. If bar work sounds like too much hard work and make no mistake IT IS hard work, then check out our main page on jobs in Spain for English speaking people. If you are feeling very confident and perhaps you already have prior experience then another option to being able to move to and live in Spain is to open your own bar in Spain or to buy a bar in Spain. Bar jobs in Spain are always readily available especially in the summer months and are mainly seasonal by nature. The tourist season starts in April or as soon as Easter. The season ends at the end of October where the coastal resorts become sleepy little deserted places except some of the main resorts in the Spanish Canary Islands which because of their proximity to Africa means they have more of an all year round climate and tourism season. Without doubt your best chance of picking up bar work and bar jobs in Spain is to look for summer bar work and summer jobs in Spain in the main tourist resorts, Spanish islands and cities such as Madrid and Barcelona which are full of visitors from the rest of Europe. If you are wondering how old and what age do you have to be, to work in a bar, the answer is 18 years old. Spain has thousands of miles of sun-drenched shores with many, many bars and restaurants therefore it should be easy to find employment although you will want to check with your employer that you will be offered a contract with medical insurance. Many bars will only offer positions with part-time hours and no work contract which means you will be paid cash in hand with no entitlement to the Spanish national health system. Expect to work long hard hours at bar jobs in Spain as well as very late hours – many bars stay open until two or three in the morning (every day). Also you need to factor in the siesta in the afternoon. This kind of work can take its toll if you have a family or partner as you won’t be seeing much of them, on the other hand you can use your siesta time to have an afternoon at the beach. Getting a bar job in Spain also helps pay your bills because most bar work means you will be fed with a meal during your working hours. If you are really lucky you might find a bar position with live-in accommodation included. 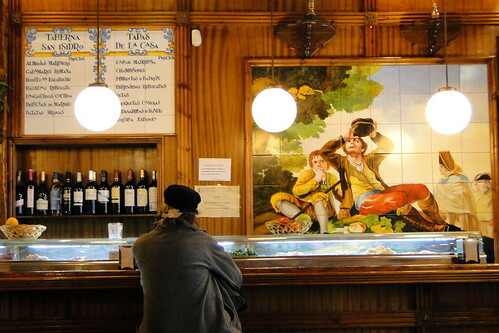 So how much can you expect to get paid per hour at a typical bar in Spain? In all honesty you will probably end up earning about five euros an hour working in a bar, although some bars will pay up to 8 euros an hour if you are fortunate. So where can you find opportunities for bar work? Well to find available positions and openings look for bar jobs in Spain by looking online on the internet at the many job sites. Also look in the many local papers many of which are on-line, or word of mouth. Most vacancies for bar jobs can only be found if you are here and you can just walk around towns and cities asking if they have any work available. 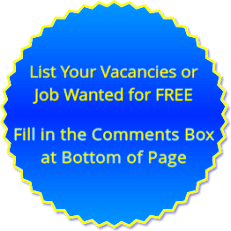 We are also starting a free listings section for job postings and vacancies so if you are searching for bar staff, email us and we will post it for free on this website. Most bar jobs in Spain will be found in the big tourist cities in Spain such as Madrid and Barcelona as well as the tourist resorts of the Costa del Sol i.e. Fuengirola, Marbella, Malaga, Benalmadena, Mijas and Torremolinos. For the popular Costa Blanca, areas that would have plenty of bar work include Benidorm, Calpe, Moraira, Javea, Alicante, Torrevieja and surrounding areas such as Cabo Roig, La Zenia, Playa Flamenca and Punta Prima. For the Costa Brava look for job opportunities in Lloret de Mar and Tossa de Mar. The islands of Spain also have many bar jobs and work due to their popularity as tourist resorts and destinations. The most obvious places to look for bar work would be Ibiza, Lanzarote, Majorca (Mallorca), Canary Islands, Menorca and Tenerife. Having some command of the Spanish language would be beneficial as even in the English and British bars you get a small number of Spanish customers. Still if you don’t speak Spanish and you can only speak English then you should still find a bar job in Spain in one of the ex-pat bars most notably the British or Irish establishments. It won’t take too long to pick up enough Spanish to get by. You probably already know that cerveza means beer. Certainly looking for bar work is one of the best ways to find a job in Spain if you are an English speaking person with little grasp of Spanish. Our advice and tips also apply if you searching for bar work in Spain and you are from Poland (Polish speakers), Holland (Dutch speakers), Germany (German speakers), Swedan (Swedish speakers), Russia (Russian speakers), Norway (Norwegian speakers), Romania (Romanian speakers), Morocco (Moroccan speakers), France (French speakers), Belgium (Belgian speakers), Ecuador (Ecuadorian speakers) or Columbia (Colombian speakers). On doing your homework on the job market it will be easier to see exactly what your prospective employer is looking for. Bar tending, bar man, bar maid, waitress, waiter, hosting, dish washing, chef etc. There are different aspects of bar jobs in Spain, so it would be good to know ahead of time what kind of bar job in Spain, you would be interested in and are suited for. The advantages of taking bar jobs in Spain are that as a bar tender you get to meet many different people, can make great friends, learn to make fabulous drinks and cook many exciting dishes. Indeed for many people bar work and bar jobs are fun and not work at all! The Costa Blanca region of Spain is situated on the east coast and is primarily a tourist and holiday destination due to the many wonderful sandy beaches – therefore there are many bar jobs. Below is a list of potential towns and cities in the Costa Blanca in which you could search for bar jobs: Albir, Alcossebre, Alcoy, Alfaz del Pi, Algorfa/La Finca, Alicante, Almoradi, Altea, Beniarbeig, Benidoleig, Benidorm, Benijófar, Benimar, Benissa, Benitachell, Bolulla, Busot, Cabo Roig, Calpe, Campoamor, Castalla, Catral, Caudete, Ciudad Quesada, Cumbre Del Sol, Denia, Dolores, El Campello, Elche/Elx, Els Poblets, Gandia, Gata de Gorgos, Gran Alacant, Guardamar, Hondon de la Nieves, Hondón Valley, Jalón Valley, Javea, La Drova/Barx, La Empedrola, La Fustera, La Marina, La Mata, La Nucia, La Zenia, Las Ramblas, Los Altos, Los Montesinos, Mar Menor, Mazarrón, Mil Palmeras, Monovar, Monserrat, Moraira, Oliva, Orba, Orcheta, Orihuela, Pedreguer, Pego, Pilar de la Horadada, Pinar de Campoverde, Pinoso, Playa Flamenca, Polop, Punta Prima, Rafol de Almunia, Relleu, Rojales, San Miguel de Salinas, Sanet Y Negrals, Santa Pola, Santiago de la Ribera, Sax, Teulada, Tibi, Torrevieja, Totana, Vall de Laguar, Villajoyosa, Villamartin, Villena, Villotel. The Costa del Sol is located on the south coast of Spain and is the most popular area of Spain for tourism. Algarrobo, Algatocín, Alhaurín de la Torre, Alhaurín El Grande, Almáchar, Almargen, Almogía, Álora, Alozaina, Alpandeire, Antequera, Árchez, Archidona, Ardales, Arenas, Arriate, Benadalid, Benahavís, Benalauría, Benalmádena, Benamargosa, Benamocarra, Benaoján, Benarrabá, El Borge, El Burgo, (Sitio de) Calahonda, Campillos, Canillas del Aceituno, Canillas de Albaida, Cañete La Real, Carratraca, Cartajima, Cártama, Casabermeja, Casarabonela, Casares, Coín, Colmenar, Comares, Cómpeta, Cortes de la Frontera, Cuevas Bajas, Cuevas de San Marcos, Cuevas del Becerro, Cútar, Estepona, Faraján, Frigiliana, Fuengirola, Fuente de Piedra, Gaucín, Genalguacil, Granada, Guaro, Humilladero, Igualeja, Istán, Iznate, Jimera de Líbar, Jubrique, Júzcar, La Viñuela, Macharaviaya, Málaga, Manilva, Marbella, Mijas, Moclinejo, Mollina, Monda, Montejaque, Nerja, Ojén, Parauta, Periana, Pizarra, Pujerra, Rincón de la Victoria, Riogordo, Ronda, Salares, Sayalonga, Sedella, Sierra de Yeguas, San Pedro de Alcantara, Tarifa, Teba, Tolox, Torremolinos, Torrox, Totalán, Valle de Abdalajís, Vélez-Málaga, Villanueva de Algaidas, Villanueva de la Concepción, Villanueva de Tapia, Villanueva del Rosario, Villanueva del Trabuco and Yunquera. The Costa Brava region of Spain is situated in North East Spain and this area borders France. Below is a list of potential towns and cities on the Costa Brava in which you could search for bar jobs: Lloret de Mar, Malgrat, Cap Salou, Tossa de Mar, Blanes, Girona, Cambrils, La Pineda, Portaventura, Salou and Sitges. Tenerife is largest of the Canary Islands and very much a tourist destination so look here for your typical seasonal, summer bar jobs in Tenerife. We have a dedicated jobs in Tenerife page with more information. Below is a list of potential towns and cities on Tenerife in which you could search for jobs: Santa Cruz de Tenerife the capital, Amarilla Golf, Costa Adeje, El Medano, Garachico, Guia De Isora, Los Cristianos, Los Gigantes, Playa De La Arena, Playa De Las Americas, Playa Paraiso, Puerto De La Cruz, Puerto De Santiago and San Miguel De Abona. Ibiza is the third largest of the Balearic Islands. Ibiza is one of the most popular places in Spain for bar jobs because of the huge popularity of the island for dance music and clubbing in the famous nightclubs. The best bar jobs will be San Antonio as it is the island capital. Below is a list of potential towns and cities on Ibiza in which you could search for bar jobs in Ibiza. We have a dedicated jobs in Ibiza page: Cala Llonga, Es Cana, Figueretas, Formentera, Ibiza Town, Playa D’en Bossa, Portinatx, Puerto San Miguel, S’argamassa, Sa Caleta, Ibiza, San Antonio, San Antonio Bay, San Jose, Santa Eulalia and Talamanca. Mallorca (also known as Majorca) is largest of the Balearic Islands and hugely popular as a holiday island so look here for your typical seasonal, summer jobs in Mallorca such as bar jobs in Mallorca and hotel jobs in Mallorca/Majorca. Magaluf is the best resort to look for bar jobs followed by Alcudia. Below is a list of potential towns and cities on Mallorca/Majorca in which you could search for bar jobs in Mallorca. We also have a dedicated jobs in Mallorca page: Alaro, Alcudia, Ca’n Picafort, Caimari, Cala Bona, Cala D’or, Cala Millor, Cala San Vicente, Calas De Mallorca, Camp De Mar, Costa De Los Pinos, Deya, Illetas, jobs in Magaluf, Paguera, jobs in Palma, Palma Nova, Playa De Muro, Pollensa, Puerto De Soller, Puerto Pollensa, Pula Golf, Son Severa, Randa, Sa Coma, Sa Pobla, Santa Margalida, Santa Ponsa and Santanyi. Lanzarote is the easternmost and the fourth largest of the Canary Islands. Below is a list of potential towns and cities on Lanzarote in which you could search for bar jobs in Lanzarote. We have a dedicated jobs in Lanzarote guide: Arrecife the capital, Costa Teguise, Matagorda, Playa Blanca, Playa De Los Pocillos, Puerto Calero and Puerto Del Carmen. The Spanish Canary Island (often referred to as the Canaries) of Gran Canaria has a number of popular holiday resorts which are good for looking for bar jobs Gran Canaria. These resorts include Amadores, Bahia Feliz, Las Palmas, Maspalomas, Meloneras, Playa Del Ingles, Playa Taurito, Puerto Mogan, Puerto Rico and San Agustin. For a full index of pages see our main jobs in Spain page. Hi I’m Charley I’m looking to move to Spain ASAP. Preferably round Torrevieja , la Salado. La siesta that way as have family there. 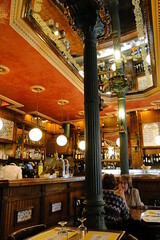 I am looking for bar work anywhere in Spain, or in hotels, as I am trying to improve my Spanish. I can also speak French and Italian and some Russian. I have experience and I can professional make cocktails from my time at the European bartender course. I am currently in Spain now, Valencia and do need to find work quite quickly. Hello my name is Mark Hawkins I am 48, have owned a bar in Spain and worked in Pubs in the UK. I am looking for a bar job to start whenever needed to start in Cabo Roig, Campoamor, San Miguel De Salinas, Torrevieja, Alicante and surrounding areas. I am well versed in making cocktails, I speak English and French but very little Spanish so if I could find a job in an English Speaking bar or Irish pub or English restaurants I could start immediately. I live in Campoamor and have an N. I. E. Number so can legally work in Spain but also happy for cash in hand. I can work Full time or Part time whatever hours that are needed. I also have a health and Hygiene certificate. So if there are any jobs available in the aforementioned areas I would like to be contacted by potential employers. Hi Mark, could you please send your cv to pimientosrest@gmail.com. Thank you! Hi I am Matt from Stoke on Trent looking to move ASAP to Spain or the the islands with family & kids. My GF is in bar work just under management & works for the MiIler & Carter company. I have a degree & currently 2 years customer service experience as well as a wealth of other experience from other jobs. Ive pretty much worked as everything at some point in the UK. Were both 38 as well, any work offers would be greatly appreciated or just advice on how to achieve this.